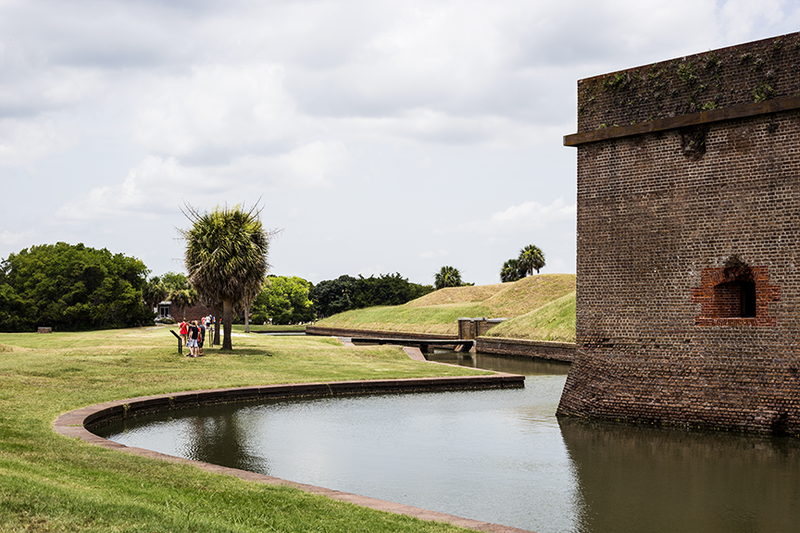 Located on Cockspur Island between Savannah and Tybee Island, Fort Pulaski National Monument is the perfect destination for a history buff or a nature lover. The fort remains an outdoor exhibit, while the surrounding area offers guided tours, an indoor museum and many trails on which you can go for a bike ride or a long walk under the Georgia sun. 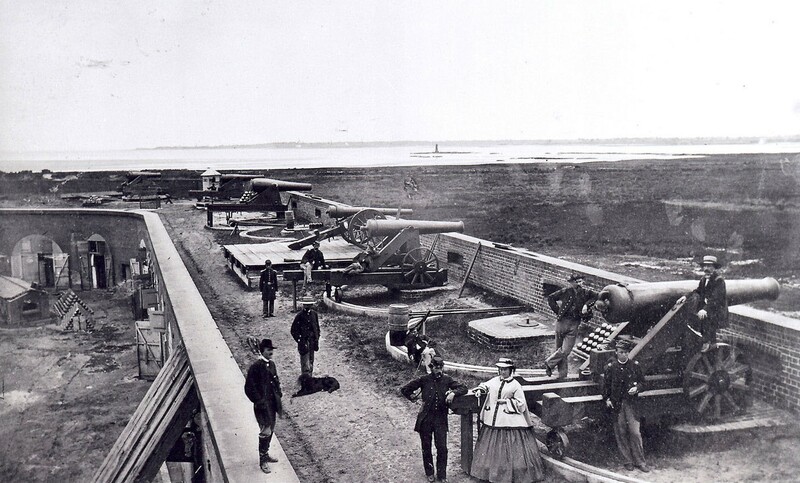 This picture, most likely taken in the winter of 1862, shows some of the officers of the 48th New York Volunteer regiment on top of the rampart of Fort Pulaski. Accompanying one of the officers is a pet dog, and ahead of him is Colonel William Barton, commander of the regiment, and his wife. Photo courtesy of the National Park Service, Fort Pulaski National Monument. Construction of the fort began in 1829. It would take another 18 years and $1 million to complete. In 1833 it was named Fort Pulaski after Casimir Pulaski, a Revolutionary War soldier under George Washington’s command. An estimated 25 million bricks were used to build the fort, with walls eleven feet thick that were thought to be impenetrable. At the mouth of the Savannah River, the fort’s original purpose was to defend Savannah, then a booming port city, from any attacks. 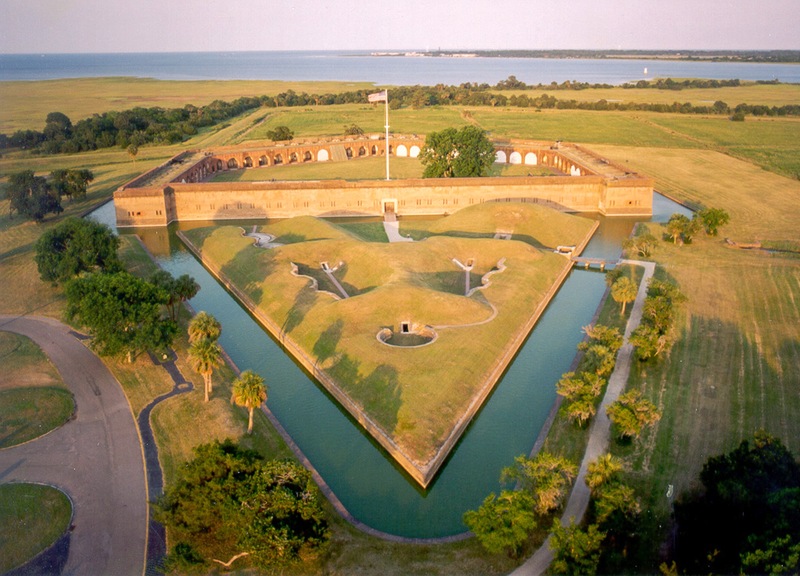 After South Carolina seceded from the United States, starting the Civil War, Fort Pulaski was taken over by the state of Georgia’s Confederate troops. 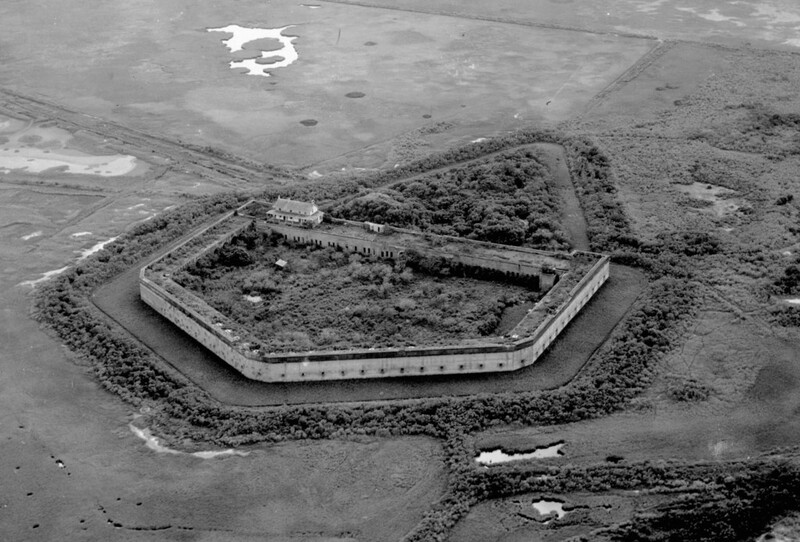 Most of them, however, abandoned it later that year because of the fort’s isolated location. For Pulaski in 1924. Photo courtesy of the National Park Service, Fort Pulaski National Monument. Upon seeing that the fort was mostly unprotected, Union forces took their chance and began building batteries on the beaches of Tybee Island, with the intention of acquiring a foothold in the midst of the Confederate States. In 1862, the Union army asked Colonel Charles Olmstead, commander of the Confederate garrison, to surrender but he refused. And so began the siege of Fort Pulaski, where Union troops used state-of-the-art guns, among them the new James Rifled Cannon and the Parrott Rifle, in a 30-hour bombardment of the fort until it was penetrated. The Confederate commander surrendered. The siege became a historic experiment of military science and invention, and a case against military masonry construction. Fort Pulaski was declared a National Monument in October 1924 as a last measure to save the building, which had been for the most part unused, from ruin. 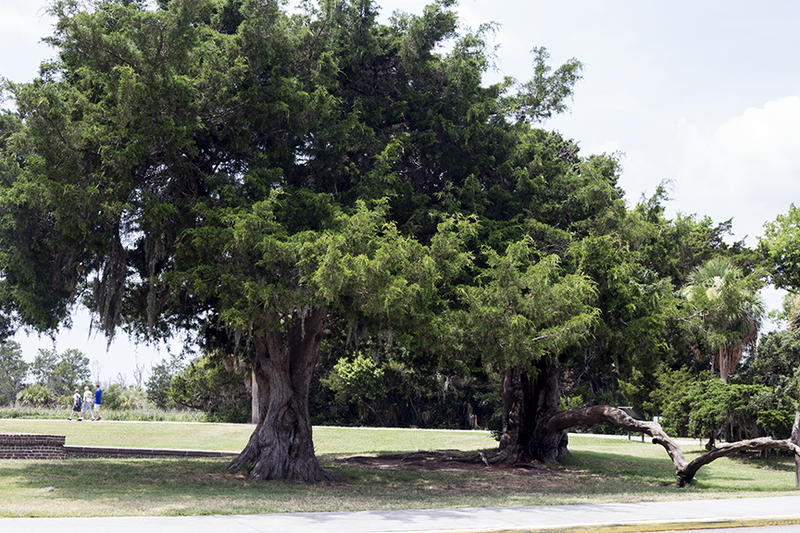 The park surrounding Fort Pulaski is 5,365 acres, with tidal marshes and mud flats. The vegetation is rich, protected, offering different trails on which you can go hiking through the unique mix of nature and history the fort has to offer. The shortest trail is the North Pier, a 1/4-mile trip that takes visitors through a wooded landscape, the remains of Fort Pulaski’s original construction village and the historic north pier. The longer Lighthouse Overlook Trail is a 3/4-mile trek along the marshlands, with views of the Savannah River and Tybee Island. And, lastly, the McQueens Island Rails to Trails, a packed gravel road open to bikers, hikers, and walkers, is a six-mile stretch that follows the rail line that used to connect Savannah to the Tybee beaches. 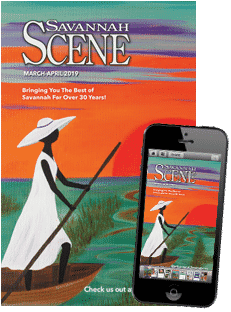 On your hike, you might even catch a glimpse of a bald eagle or a piping plover, two of the 11 protected species to be found in the areas that surround Fort Pulaski National Monument. If the fort isn’t enough excitement, the grounds also have picnic areas for you and your family to enjoy, a cemetery surrounded by lush greenery, and scattered ruins, like that of Battery Hambright, made to protect the entrance of the Savannah River during the Spanish-American war. 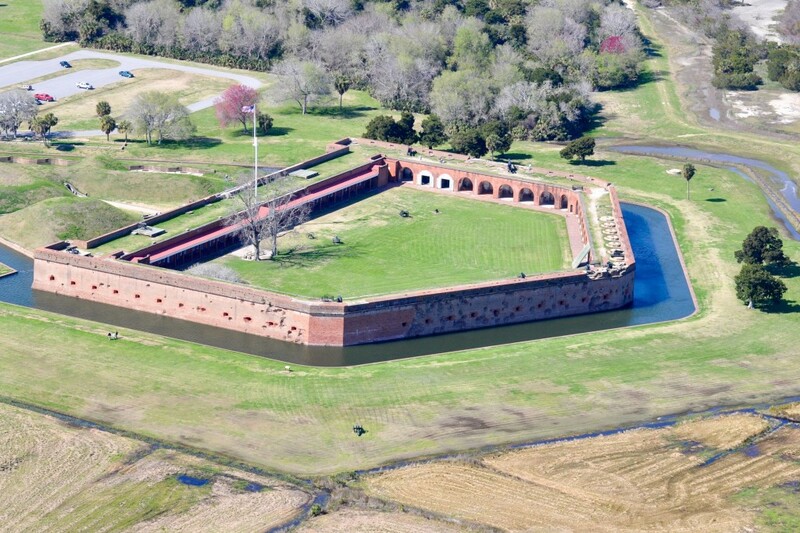 The National Park Service continues to protect, restore and manage the Fort Pulaski National Monument. The Visitor Center provides those interested with brief histories of the characters in Fort Pulaski’s story, as well as insight into the battle that took place there. A full-scale replica of a 13-inch Seacoast Mortar greets guests upon arrival. 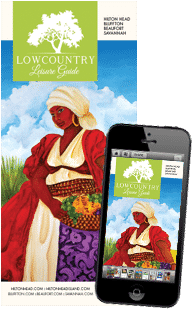 Guided fort tours are held Monday through Friday at 10:30 a.m. and 3:30 p.m., on Saturdays at 11:30 a.m. and 1:30 p.m., and on Sundays at 10:30 a.m. and 3 p.m.; tours usually last 45 minutes to an hour. If you can’t catch any of those, don’t worry; visitors can explore the Fort and its surroundings to their leisure, and there are Historic Weapons Demonstrations between the weekend tours. Present day Fort Pulaski. Photo courtesy of the National Park Service, Fort Pulaski National Monument. The entrance fee, which only applies to guests 16 years and older, is $7 per person and remains valid for seven consecutive days. Annual passes are available for $30, for residents of the surrounding areas who can’t get enough of Fort Pulaski.